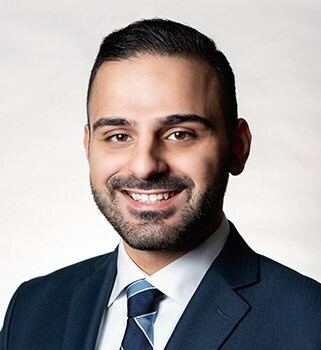 Born to immigrant parents from Lebanon, Moses completed his Bachelor’s Degree with Distinction from the University of Michigan in 2014 and later went on to receive his Juris Doctorate from Michigan State University College of Law in 2017. While in law school, he served as a Law Clerk in the Civil Rights Division of the Attorney General’s Office and participated in MSU’s Immigration Law Clinic. At the clinic, he advocated for the legal status of unaccompanied minor children, crime and trafficking victims, and persons fleeing persecution. It was during this time that Moses’ interest in immigration law developed into a passion and he decided to pursue immigration law exclusively. Prior to joining George P. Mann & Associates, Moses spent some time in general practice, gaining experience in the courtroom as a civil litigator and criminal defense attorney. At our firm, Moses utilizes the skills he obtained in general practice to advocate on behalf of clients during removal/deportation proceedings.